Approximately 1.5" finely crafted charm, featuring gold or silver plated detail. Spring clasp allows it to easily clip on to charm bracelet or combined with a chain to be worn as a pendant (bracelet and chain sold separately). 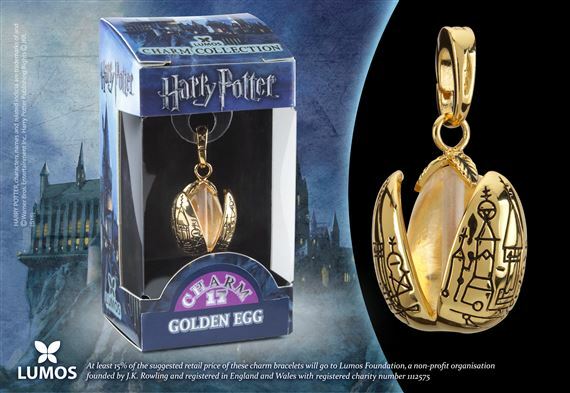 Portions of the proceeds go to the Lumos Foundation.